Listen to "The Interpretation Of Dreams" on your iOS and Android device. 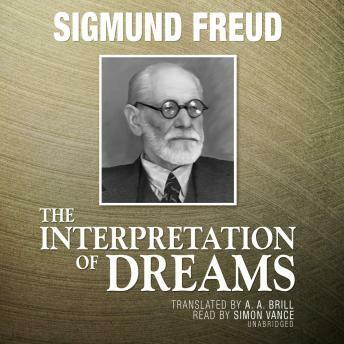 The Interpretation of Dreams is the book that Sigmund Freud considered his most important and that forever changed the way we think about our dreams. It is here that Freud related his discoveries about why we dream, what we dream, and what our dreams mean. In this groundbreaking work, Freud further demonstrated that it is in the treatment of abnormal mental states that dream analysis is the most valuable.